Trained as a geologist, Marcel Arnould always worked to foster better integration of geology in applied engineering, for example in civil engineering and mining, for both of which he was a professor in highly-ranked academic institutions in France and abroad. He was very keen on taking into account the challenges of practical experience in his personal endeavours and in his teaching. He also viewed cultural exchanges as highly important and was active to ensure crossfertilisation between IAEG national groups. Marcel Arnould was one of the founders of the IAEG. He was secretary general from 1968 to 1972 and president from 1972 to 1978. In 1978, Arnould’s contribution to the Association was honoured by awarding him the only honorary president of the Association to date. 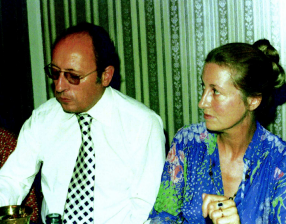 After he passed away in 2011 discussions were held between senior members of the IAEG and the French national group in Bourg-la-Reine, where Arnould used to live, and again in Madrid later in the year. enabler to communication between different cultures. recipient should be a person of significant repute within the IAEG; someone who has made a major contribution to the Association through, for instance, promoting its recognition, enhancing its global reach and multi-culturalism, improving its management and/or raising the level of services it provides to its members. The medal can be awarded every four years at the IAEG congress.